Nearly every Sunday since he was 7, Connor McIlwain had panicked about going to school the following day. 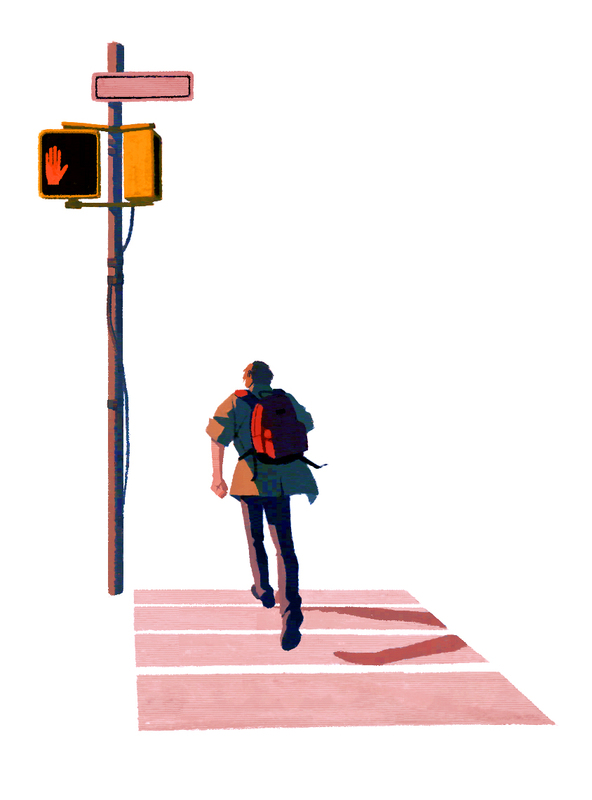 The noise of barking dogs or crying babies, the demands of school and the constant fear of being exposed to one of his phobias was a lot for Connor to handle. Diagnosed with autism at age 3, he would get so upset at school that sometimes he would run into the street; on at least one occasion, he narrowly escaped being hit by a car. Among people Connor’s age, suicide is the second leading cause of death in the United States, according to the U.S. Centers for Disease Control and Prevention: Approximately 6,159 people between the ages of 10 and 24 died by suicide in 2016. Suicide is the 10th leading cause of death across all age groups and one of just three leading causes of death that is on the rise, according to a June report. But it’s unclear what the statistics are for people with autism. Even when signs of suicidality are apparent, clinicians may dismiss them. 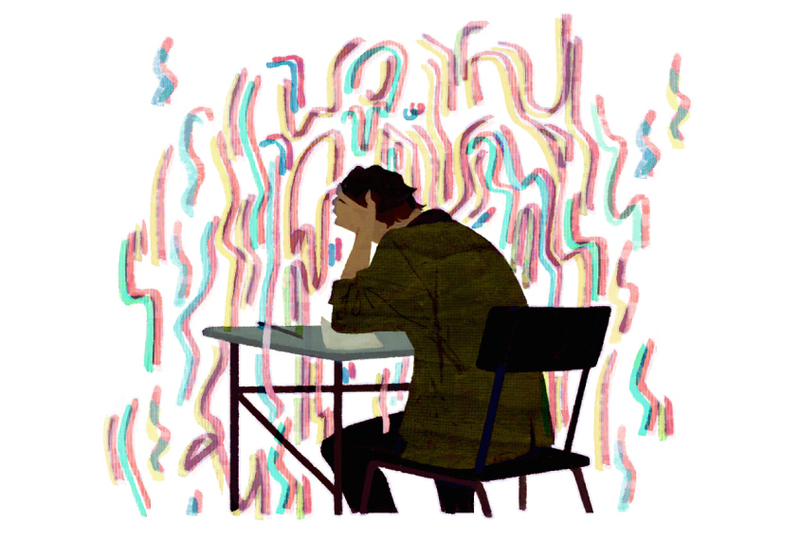 Clinicians may wrongly assume that people on the spectrum don’t have complicated emotions, or may discount their outbursts, says Paul Lipkin, director of the Interactive Autism Network at the Kennedy Krieger Institute in Baltimore, Maryland. “These children feel a normal range of emotions as other children, but [they] don’t do it in a typical way, and they’re not necessarily taken as seriously because they have a wide range of emotions showing already,” he says. Doctors also misinterpret self-harm — a classic warning sign for suicide in the general population — as a part of autism. All of that is beginning to change. Some teams are adapting tools to spot autistic people who are at risk of suicide and gain a sense of the scale of this problem. Many typical signs of suicidality — changes in sleep, appetite and social relationships — involve areas that are already challenging for these individuals. So “one can’t rely on these changes in this population,” Lipkin says. Instead, the researchers are looking at the interplay of known risk factors, such as depression, anxiety and bullying, in autistic people. And they are identifying risks unique to this population, such as social challenges, communication difficulties and a diagnosis of attention deficit hyperactivity disorder. Like Connor, many children with autism tend to perform well at school academically but struggle socially. They become isolated from their peers, which can lead to depression. Children who struggle with social communication are at a high risk of suicidal behavior — even if they do not have autism — as are adolescents who have autism and symptoms of depression, according to a large study published in May in the Journal of the American Academy of Child and Adolescent Psychiatry. The researchers tracked 5,031 children in the Avon Longitudinal Study of Parents and Children, a large birth cohort in the United Kingdom. The children are either diagnosed with autism or show at least one of four autism traits: repetitive behaviors, social communication difficulties, pragmatic language problems or a lack of sociability. Those who have problems with social communication are the most likely to harbor thoughts of suicide at age 16, the researchers found. “This is an urgent and obvious area for further research to try to prevent what we now recognize,” Veenstra-VanderWeele wrote in an editorial accompanying the results. Being bullied may also increase the risk of suicide in another way: by increasing aggression. In an unpublished study presented in May at the International Society for Autism Research (INSAR) meeting, a group in the Netherlands looked at experiences with bullying in 185 adolescent boys, 89 of whom have autism. The more victimization the teens faced, the more anger and fear they expressed. Compared with typical boys, though, autistic boys reacted predominantly with anger — a response that could lead to uncontrollable emotional arousal and raise the risk of suicide. Intense rage can overtake 10-year-old Noah, who was diagnosed with autism at 4. “He’s a big love bug when he wants to be,” says his mother, Theresa McSpadden. But Noah has been bullied repeatedly, which makes him so upset that he acts out. He has twice attempted to harm himself and was hospitalized for suicidal ideation at ages 6 and 8. The hurts of bullying and social rebuffs may build up over time: Two out of three people diagnosed with autism as adults reported they have contemplated suicide at some point in their lives, according to a large study published in 2014. These adults “had been without support or understanding of autism for a long time,” says Sarah Cassidy, assistant professor of psychology at the University of Nottingham in the U.K.
She says she was ridiculed at school and didn’t have any friends throughout childhood. She was so afraid of being teased that she skipped eating lunch in the cafeteria. People told her she was smart, but she couldn’t converse with them. “When I tried to talk, it was like having my jaw wired shut — it was difficult to push the words out,” she says. “They made fun of me and were really cruel.” At age 15, she attempted suicide and was unconscious for days; she tried again at 17. Not everyone finds that kind of relief. Adults with autism face an elevated risk of suicide even after taking into account a number of known risk factors, such as unemployment, depression and anxiety, according to an unpublished study Cassidy presented at INSAR in May. “This suggests that there must be other autism-specific risk markers, which must be identified, that explain the increased risk of suicidality in this group,” Cassidy says. One heavy burden for autistic people to carry is ‘camouflaging‘ — the attempt to hide their autism traits to fit in. Adults with autism who camouflage are eight times as likely to harm themselves as those who don’t, Cassidy’s team has found. Although many autistic adults do camouflage, the phenomenon is thought to be particularly common, and damaging, among women on the spectrum. The effort involved in camouflaging contributes to anxiety and depression, compounding the risk of suicide. “I struggle to fit in,” says Richard Carmichael, 17, of North Carolina, who was diagnosed with autism five years ago. “I wear neutral-colored clothing; I try to appear normal at all times,” Richard says. Although he no longer feels suicidal, he says, he did for years. Suicide is notoriously difficult to predict, but clinicians have a window of opportunity. “For each completed suicide, there are 25 attempts,” says Tami D. Benton, psychiatrist-in-chief at Children’s Hospital of Philadelphia. More than half of all people who die by suicide visit a healthcare provider within one month of their death. In light of that fact, the Joint Commission, a nonprofit accreditation board for U.S. hospitals, recommended in 2016 that hospitals screen all clients for suicide risk, regardless of the reason for their visit. In 2008, Horowitz led a multisite study to develop the Ask Suicide-Screening Questions tool, which has four questions and takes about 20 seconds to complete. Nurses or doctors refer anyone who answers ‘yes’ to one or more of the questions for further assessment. The tool was designed for typical youth aged 10 to 24, but last year, Lipkin and his colleagues began using it in their outpatient clinics at the Kennedy Krieger Institute in Baltimore. The team offered the test to 317 autistic people aged 8 and older over two months in 2017. Roughly one in three of these people declined to take the test. Among the remaining participants, however, 13.7 percent screened positive for suicide risk. Autistic adults and parents of children with autism were more likely to decline the screen than were children and teens on the spectrum, the researchers reported at INSAR. The parents who did agree to the screen, however, were more likely to disclose suicidal behaviors than their children were — perhaps in part because children with autism can have trouble expressing themselves. Parents sometimes worry that asking children about suicide can put ideas into their head, Horowitz says, but in the typical population, that is unquestionably a myth. “There are at least four studies refuting that you can make someone think about suicide by asking them,” she says. Still, she says, “we should test [that] out in the autism population, because sometimes people with autism can get stuck on ideas.” Depending on what the studies find, scientists may need to create screening guidelines specific to this group. Horowitz is also working to adapt the screen for people with autism who have trouble with social communication and may not be able to answer the questions as readily as typical people do. Of course, not everyone who screens positive based on the four questions is truly at risk. Any accurate picture calls for an in-depth assessment using a developmentally sensitive approach, says Roma A. Vasa, director of psychiatric services at the Center for Autism and Related Disorders at Kennedy Krieger. Kennedy Krieger. “When asking questions, we need to take into consideration the individual’s social, cognitive and communication challenges,” Vasa says. Clinicians need to evaluate whether people with autism also have depression or anxiety, and whether they have experienced stressful events: “It is important to understand how they perceive their social world and whether they feel integrated or isolated,” Vasa says. It may also be important to enlist parents’ help when dealing with an autistic child. “No one else can be attuned to the small change in a child’s behavior,” says Ruth Gerson, assistant professor of child and adolescent psychiatry at New York University. “I really encourage parents to trust their own judgment and take any concerns that they see in their child seriously.” If a child is thinking about or engaging in suicidal behaviors, parents should immediately take her to a mental health practitioner or clinician who knows her — or, failing that, to the emergency room, where they should make it clear that their child is on the spectrum. McIlwain monitors Connor’s moods carefully. Sudden, abrupt noises, the sound of radios and televisions, and even certain words can throw Connor into extreme panic. His mother is so concerned for his safety that she tries to shield him from any triggers. In April, the McIlwains bought the house next door to make it easier to separate Connor from his 10-year-old sister, particularly when she plays with her friends or practices her violin. Ultimately, they hope to build an addition onto their new home so they can all live together again. But having the extra space next door is already helping. Because Connor can find peace and quiet when he needs to, he has more good days than bad, and over the past two months, hasn’t once attempted to run into the street. If you or someone you know is having suicidal thoughts, help is available. Click here for a worldwide directory of resources and hotlines that you can call for support. A previous version of this article gave suicide as the third leading cause of death, rather than the second, among people Connor’s age; the exact numbers have also been revised. It also stated that Roma A. Vasa is director of psychiatric services at Kennedy Krieger; she is director of psychiatric services at the institute’s Center for Autism and Related Disorders.